The fifth sign of the zodiac is Leo. To experience Leo energy, it is not just for people who have their Sun in the sign of Leo and were born in July or August. It is also for people who have other planets in the sign of Leo, their ascendent in the sign of Leo, the nodes in the sign of Leo, or as Leo rules the fifth house, have a very concentrated fifth house of planets in your Astrology chart. Leo becomes stressed when they feel they are not in control. 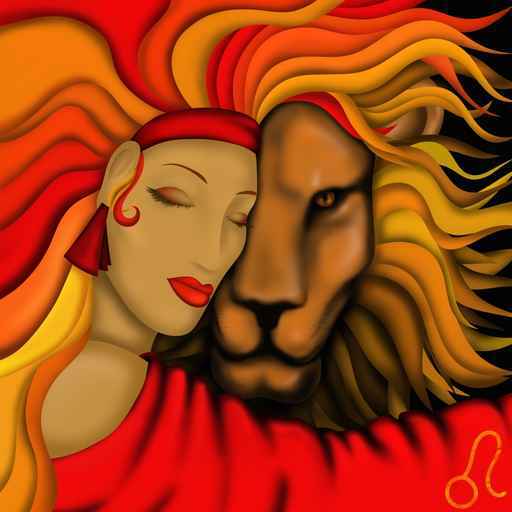 Being a fire sign Leo is very active, they tend to push themselves and become totally driven. Constant hard work and the demands of others, rattle the nerves of the lion. Leo becomes stressed, when they are in a situation of taking the lead and are not sure what to do, and cannot find the things they need to see in order to have things right! Also, if something was to break down at that time, it would send them into an absolute frenzy! Leo will feel relaxed when they get together with a couple of people and go out for an enjoyable meal. Leo’s love eating out, the more expensive the restaurant, the better. Leo will feel relaxed straight away, shabby surrounds only make Leo feel uncomfortable and doesn’t fit in to the royalty they deserve! Go shopping and buy a new outfit. Leos love to dress up and usually when they do they will feel good! Leos need to have fun, go and see a show or go dancing! Leo enjoys staying at five star Hotels and being totally indulged with good food, wine and receiving the constant attention of their partner.